As we are over halfway through February, how many of you are still trying to loose weight? still trying to keep active? Staying active doesn't have to mean you are running five miles a day or lifting weights heavier than yourself, keeping active can be the simple things like, walking on the school run instead of taking the car, or bus taking the kids over to the park and running round with them even doing the cleaning counts as a great form of exercise, we all probably walk more than we think we do and whilst your on your weight loss journey or if you are just trying to get healthy - what better way to monitor your steps than with a Pedometer. 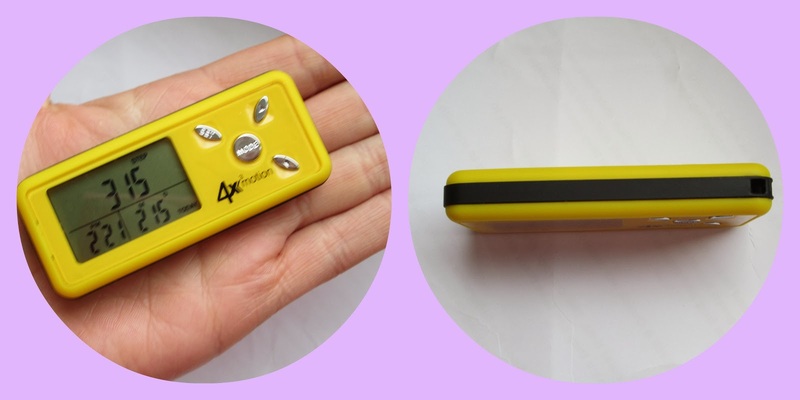 We were sent the 4x3motion Digital Pocket 3D Pedometer with Tri-Axis Technology, in Sport Yellow pedometer to review, It sounds complicated but really its not! I have never had a pedometer before although I have had a lot of friends that have had them before and have said good things about them, I wasn't sure just how much I would use it or if it would fit in with my life to be honest, as you well know when your a mum remembering everything that fits into a changing bag can when you have two children can be hard enough. 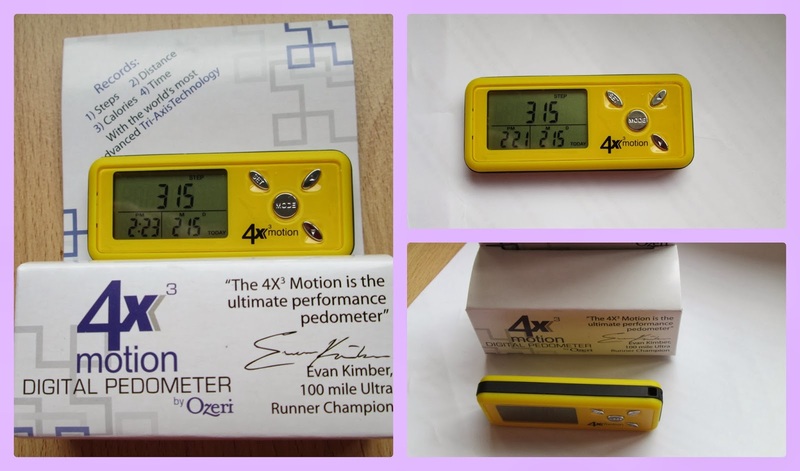 The Ozeri 4x3 pedometer but is a very sophisticated Pedometer that is very modern whether you are an all star athlete or a mummy that is trying to get healthy this is an all round perfect product. I took the pedometer out of the box, I was surprised at how small it was it practically weighs nothing - now anyone that knows me knows that I am a bit of a technophobe, however the buttons are pretty clear there are four, Set, Mode and two arrows one pointing upwards and one that points down I pressed the set button instantly the pedometer starts to flash, you simply use the arrows to select the date, time and year it really is simple once you have set it up that's it your ready to go! The advanced Tri-Axis Sensor technology means the pedometer can work from any angle, and this combined with the fact that you have the option to put into it your weight and stride distance makes it very accurate and I personally love that feature. It doesn't just count your steps either, it also records the distance you've walked, calories burned, speed and the length of time you've been walking for, the added features of a back light, clock and calendar are which of course are all really really useful. I love how slim the pedometer is, as it can fit into your pocket it so light you forget its there! This is An all-round fantastic pedometer that does what you want it to, this little pocket counting certainly goes above and beyond its means. The Pedometer is available to purchase from Amazon priced at £15.95 and I think this is a great price for a lovely little product. This pedometer was sent to me for the purpose of this review all opinions remain honest and my own. I am linking up this post with tried and tested a lovely linky hosted by Kate and Collette why not click the badge and see what else has been tried and tested this week. I used an app on my phone to track how far I walk every time I set foot out of the house - it encourages me to walk a bit further!